It’s tough being a plant, especially if you’re a crop plant! You are rooted to the ground and if a pest tries to eat you or if a disease or weed spreads in your neighbourhood you’re trapped where you are and can’t run away. This means that wild plants have evolved some pretty sophisticated ways of defending themselves… Acacia thorns have holes in which ants can live that control pests... there is a splendid array of defensive chemistry that exists in nature and symbiotic relationships have evolved with natural enemies of pests. But you’re not a plant, you’re a person reading this who wants to know more about sustainable, practical farming! Pest, weed and disease challenges are clearly agroecological challenges: the population of an adapted organism is running out of control. Agricultural habitats provide ideal conditions for pests, weeds and diseases to thrive in. Although attacking organisms add biodiversity to what might have been a monoculture, that isn’t the kind of biodiversity we want - especially if it means we can’t eek out enough of the crop we’re trying to grow. Outbreak populations can cripple our crop cultivation. We care about the environment and therefore we want to minimise the environmental footprint of agriculture. This means minimising the resources used for food production. If cropping is inefficient due to losses to pests, weeds and diseases then we need more land, more water, more nutrients and more energy to grow the same amount of a crop. This could mean less space and resources for nature in wild habitats. Well, farmers have been using pesticides for a long time. The first recorded use of insecticides is about 4500 years ago by Sumerians who used sulphur compounds to control insects and mites. Concoctions such as Bordeaux Mixture, based on copper sulphate and lime, have been used against various fungal diseases since ancient times. Since the 1940s synthetic pesticides have been widely used and arguably been overused. Concern about effects on human health and the environment has partly led to the growth of organic agriculture which bans use of synthetic inputs in farming systems although natural products based pesticides are allowed. However, dangerous toxins can occur naturally, for example, mycotoxins or batrachotoxins from poison-dart frogs. This means caution is still needed and some organic organisations have banned rotenone even though it is a natural product. Conversely, certain synthetic compounds are relatively benign, particularly ones which have been registered recently because the regulatory system has become stricter. Consumers are seeking food grown with minimal pesticide use and the availability of synthetic pesticides is declining even for conventional farmers due to changes in legislation and the evolution of pesticide resistance by the pests, weeds and diseases. This means that all farmers are now interested in alternative or integrated approaches to pest, weed and disease management that can reduce dependency on pesticides. The answers no longer come out of a can. I think there are promising routes for reducing pesticide dependency. 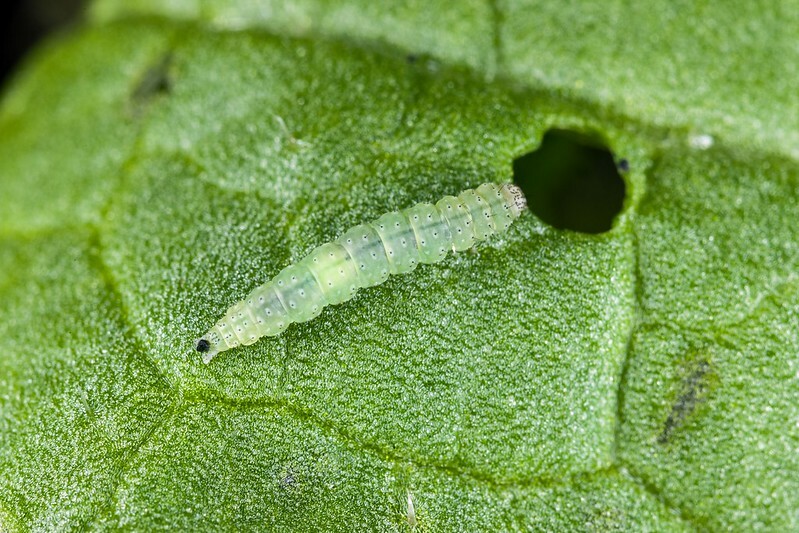 Increasing biological control can have a major benefit. If there is less chemistry, we need more biology and the use of natural enemies has had huge successes in greenhouse environments. The next frontier is to make biological control work in open field outdoor crops. This could be done with innovative biological products especially if natural enemies could be lured from conservation headlands into the main crop. Another promising avenue is selecting resistant crop cultivars. Orange wheat blossom midge resistant wheat was a tremendous success. Increasingly farmers are considering disease resistance when selecting which crop variety to grow and this actually makes business sense as well as environmental sense: if less money is required for pesticide applications profit can be increased. In my opinion ‘rewilding’ plants by transferring resistance genes from wild ancestors should not be ruled out but this is a controversial subject and not everyone will agree with me. I personally think organic farmers could gain a lot from genetic enhancement of crops, but this is a decision for the organic sector to make. Much can be made of good husbandry and agronomy to reduce pest, weed and disease risk by avoiding conditions that favour build-up of their populations. Crop rotation and avoiding spreading of weed seed or pest or disease sources are examples. More can be done to redesign farming systems to create a better habitat for the natural predators of pests and by making use of mixed cropping. All farmers are facing increasing difficulties with pest, weed and disease management. To try and make life easier for them, I have set up a network known as CROPROTECT (with funding from the BBSRC-NERC Sustainable Agriculture Research and Innovation Club). It is available through the www.croprotect.com website or via phone Apps (Android and IOS). CROPROTECT provides easy access to information about pest, weed and disease management for farmers and agronomists, especially in situations where effective pesticides are not available and alternative approaches are required. Pesticide usage info is readily available on the label on the pesticide container but as the solutions no longer come 'out of a can' there is an information gap about the key points for alternative or integrated approaches. CROPROTECT aims to fill that gap by distilling out key management recommendations for pests, weeds and diseases. The pests, weeds and diseases featured are the ones which pioneer users of the system flagged up as being of particular concern. Toby Bruce is a research scientist at Rothamsted Research, his work focuses on chemical ecology and integrated pest management (IPM). He is also an Agricology Steering Group member.